Patrick Mays joined LeTourneau University in 2003, but he is quite familiar with the area, having grown up in Longview and graduated from two local institutions: Pine Tree High School and University of Texas at Tyler. For almost two decades, though, Pat and his family traveled and lived in several places around the United States and the world pursuing ministry opportunities. These included teaching and coaching high school in Texas, youth ministry in Louisiana, recreational ministry in Alabama, and mission work in Asia and Europe. For four years, Pat, his wife, Kathleen, and daughter, Sarah, lived and ministered in Prague, Czech Republic as academic missionaries in secular universities. 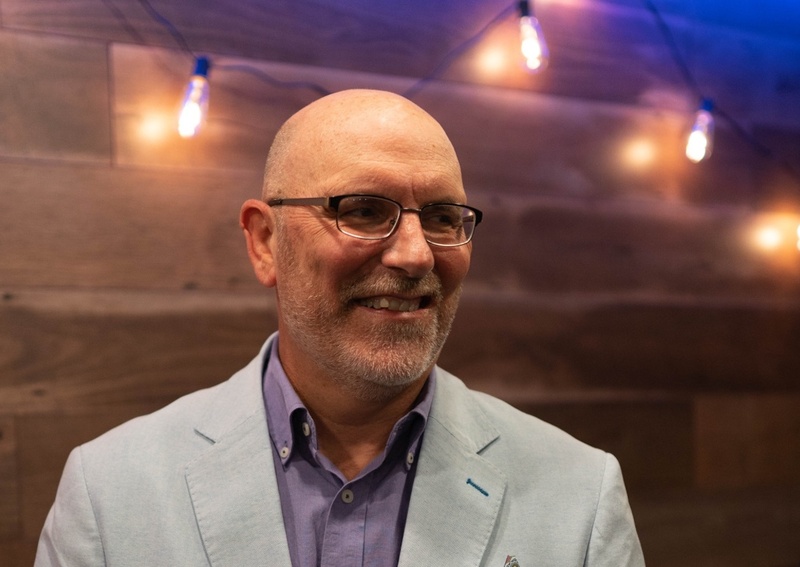 He uses this experience and his education in theology and intercultural studies in helping students develop biblical models of ministry that reach across generational and cultural barriers. Pat's interests are increasing the effectiveness of youth ministry, developing a mission focus for the church, and reaching secular people with the gospel. Pat’s eclectic interests include participating in a local improv troupe, leading worship, and cycling. “Participating with God: Christians Teaching in Secular Contexts,” with Kathleen Mays. Integrite: A Faith and Learning Journal, Fall 2016. “Peter Drucker: The Life of an Integrated Scholar.” In Integrite. Vol. 10, No. 1. Spring 2011, 24-33. “Integrative Teaching and Living: Christian Professors in Secular Universities,” with Kathleen Mays in the conference proceedings of the Christian Business Faculty Association annual conference, Charleston, SC, October 2016. “Principles of Power and Influence in Esther,” Paper presented with Kathleen Mays at The International Academic Conference, St. Petersburg Christian University/HODOS Leadership Institute, St. Petersburg, Russia, April 2016. “Mapping a Minefield: Missiological Insights on Cultural Relativism for Youth Ministry Educators,” Paper presented at the Association of Youth Ministry Educators, Dallas, TX, October 2012. “Drucker 101: The Life of an Integrated Scholar.” Paper presented at the International Institute for Christian Studies Vision Conference, Kansas, City, MO, July 2010. “Innovations in Mission: The Legacy of J. Waskom Pickett and Donald McGavran.” Paper presented at the International Institute for Christian Studies Vision Conference, Kansas City, MO, July 2009. “The Emerging Church as Indigenous and Pilgrim Movement.” Paper presented at the International Institute for Christian Studies, Kansas City, MO, July 2007. “From Relativity to Vulnerability: Cultural Relativism and Its Impact on Cross-Cultural Witness.” Paper presented at the International Institute for Christian Studies, Kansas City, MO, July 2005.